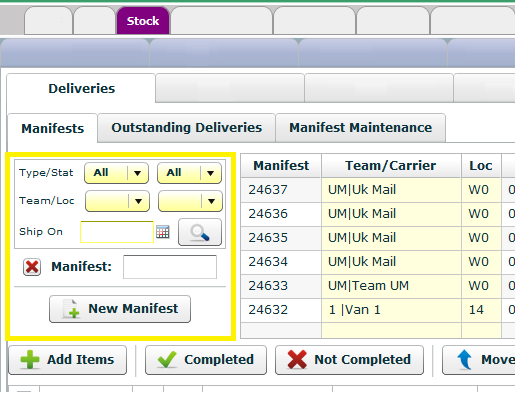 Previously when creating or listing up current manifests, there was only an option to filter delivery manifests by location. 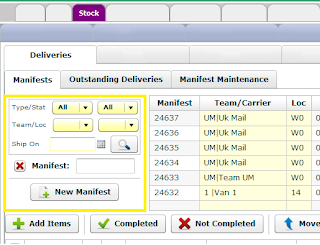 After the next up date there will be more options, allowing you to filter if the by Couriers or Own delivery teams, as well as individual teams, locations and the ship date of the Manifest. 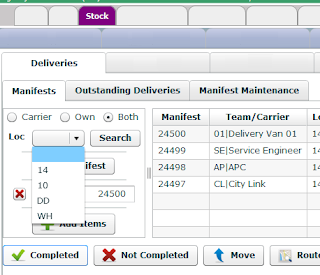 Select the criteria you want to filter on and click the magnify glass to search.